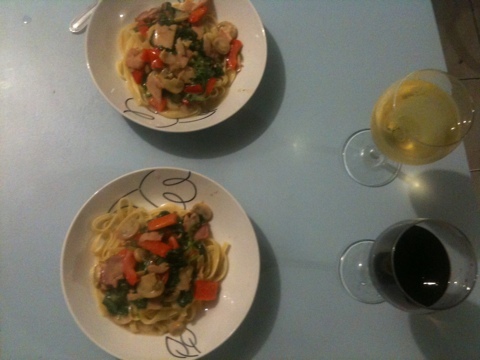 Whilst my gorgeous, lovely boyfriend was putting together flatpack (and solving a slight measurement error), I was making a dinner that would (hopefully) take away some of the flatpack frustration. 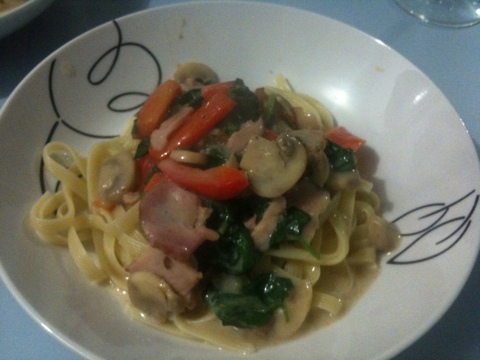 Nice stodgy fettucine, dressed with a capsicum, spinach, mushroom, and bacon creamy sauce. 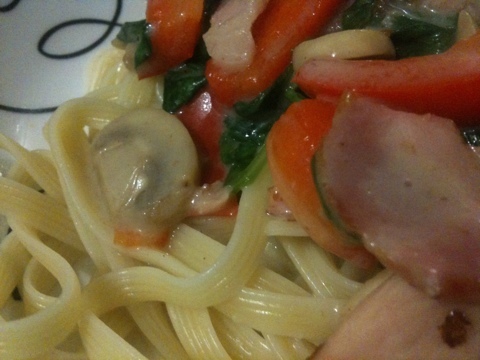 The capsicum, bacon, and mushroom went in the frying pan. That cooked and then some corn flour mixed with water, then some milk. And of course salt and pepper. 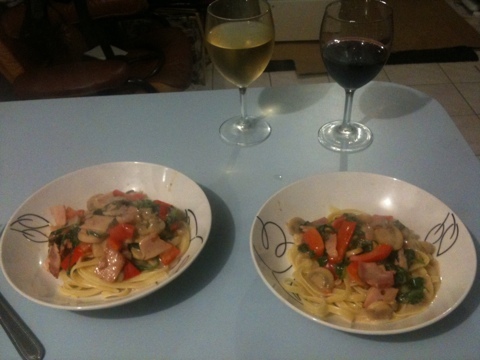 That thickened whilst the pasta boiled (and J flatpacked away).